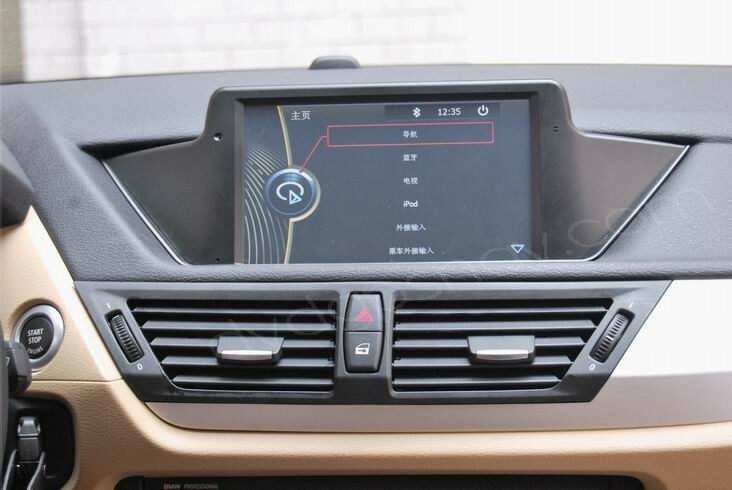 With 8" large HD screen, the BMW X1 GPS nav headunit replaces the BMW X1's storage cabinet, similar to factory BMW iDrive navigation system which is also with iDrive controller that slots in by the handbrake. 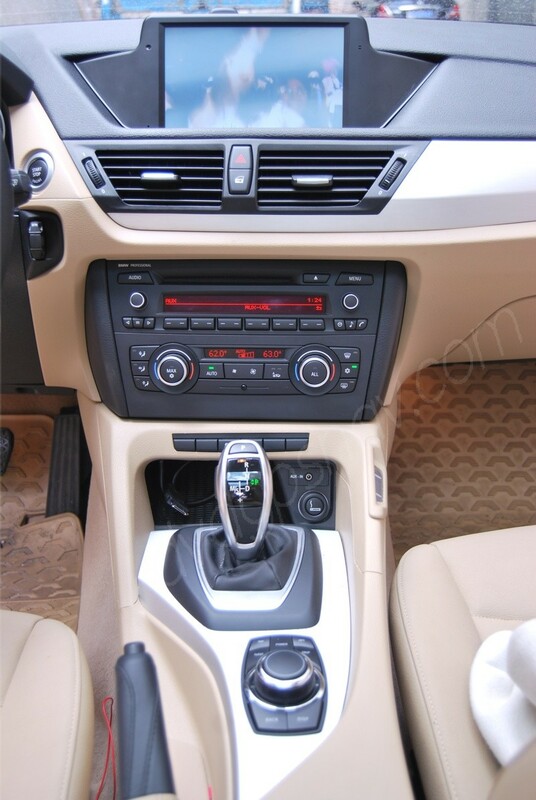 Unlike the normal in-dash car DVD players, the BMW X1 GPS don't replace the in-dash CD player or car radio, so your original CD player can work as normal. 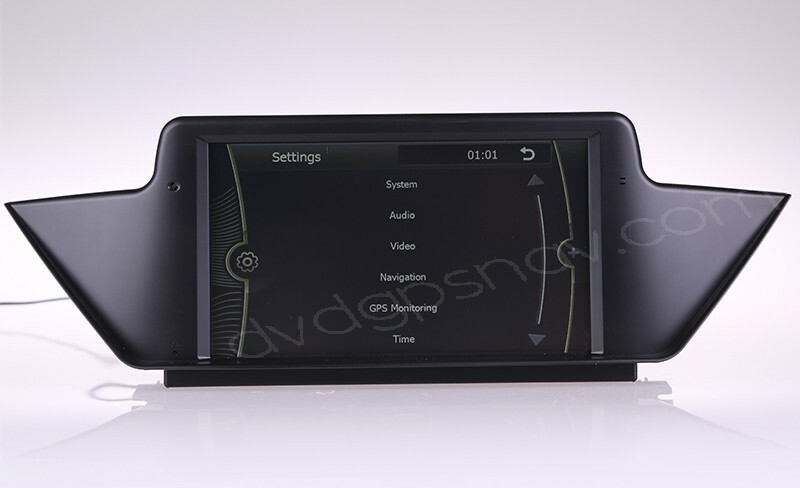 NEW ARRIVAL: Interested in an Android BMW X1 GPS navigation Head Unit ? Just click the link. Free Gift: IGO maps with 8GB SD card! Note: Make sure your car has aux function and your aux works well, if your car does not have aux or aux does not work, this unit can not work for your car. 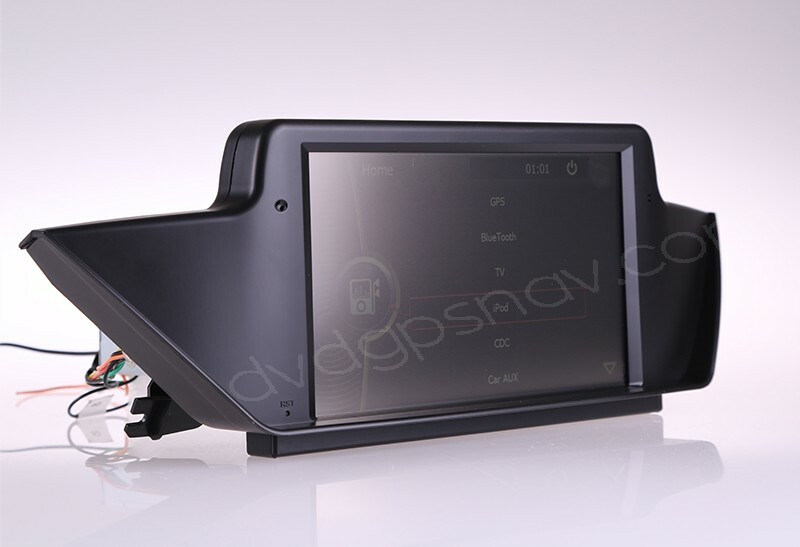 Custom design car GPS nav for BMW X1 E84 comes out. 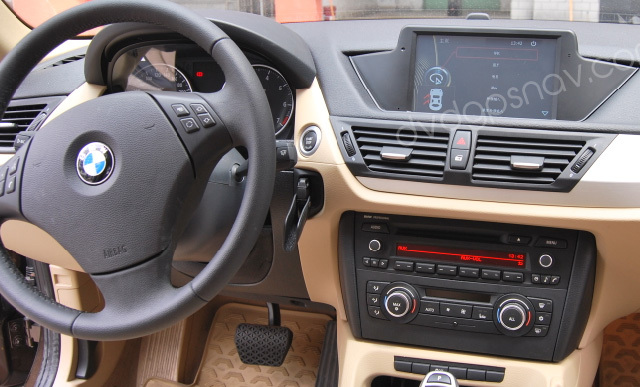 Take a look at our BMW X1 E84 GPS navigation system, Bluetooth, FM/AM car radio, RDS, USB port, SD card slots, eversing video input, etc . 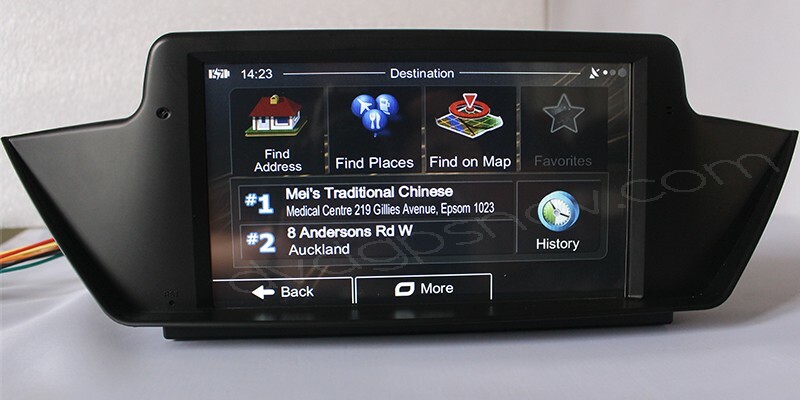 The home screen and menu are similar to original BMW navigation interface and controllable via the iDrive copy controller that slots in by the handbrake. The BMW X1 GPS nav does not have DVD function built-in, because you can keep your original CD player in the dash. 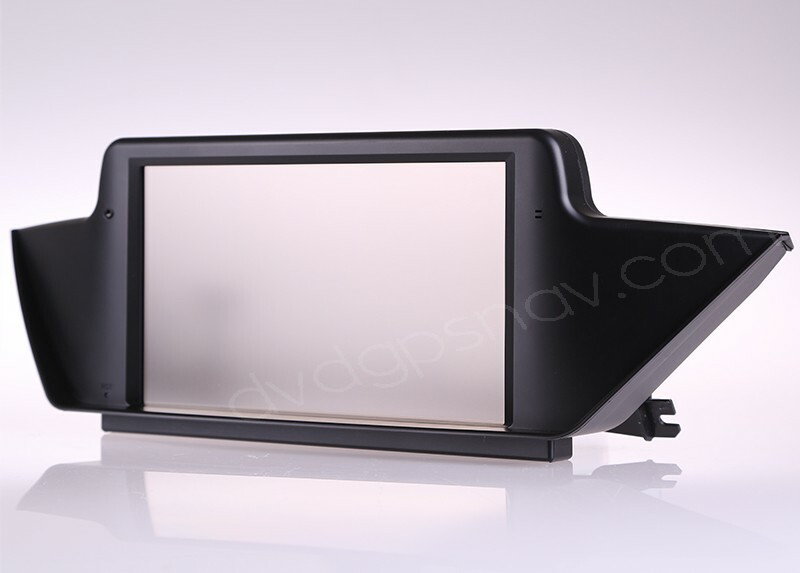 With 8" large HD screen, the BMW X1 nav unit replaces the BMW X1's storage cabinet. 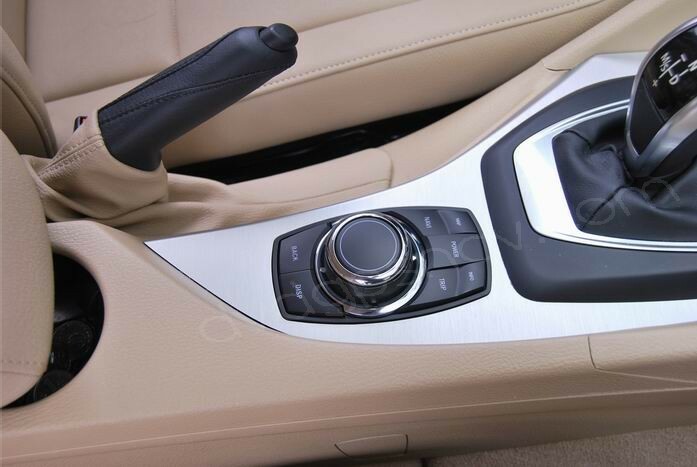 Unlike the normal in-dash car DVD gps, the BMW X1 GPS don't replace the in-dash CD player or car radio, so your original CD player and car radio can work as normal. 1. If your car has 2 fiber optc cables from original plug, then you need to move these fiber optic cables to connect your original CD. 2. 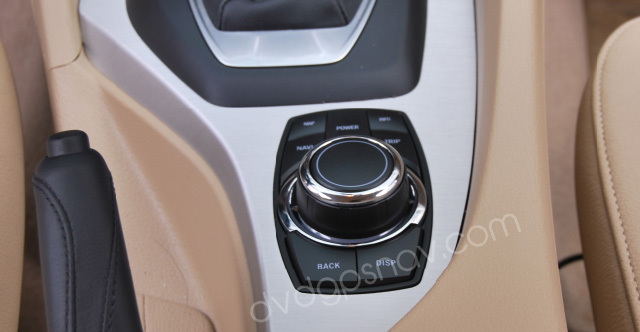 Some BMW X1 has no aux cables from factory plug, you should find them and connect them with out plug's aux cables. 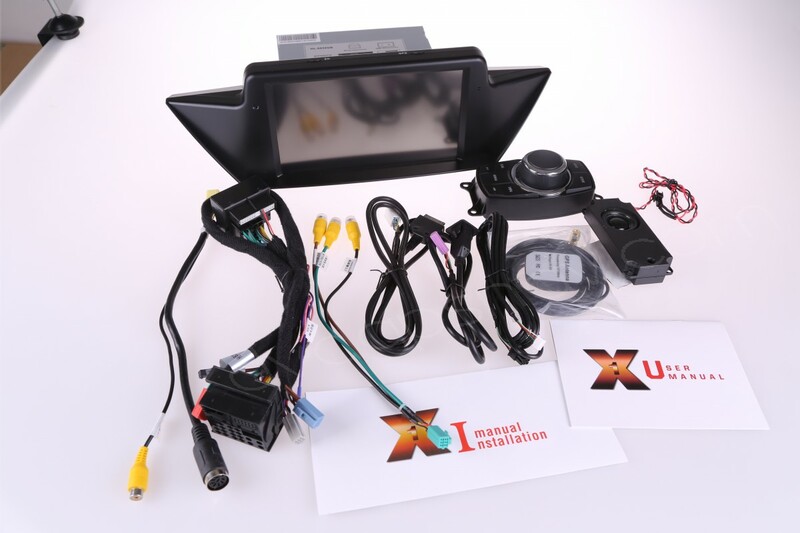 with the latest ARM11 program to develop high performance multimedia car dvd with the functions of navigation, audio&video, entertainment and etc. The controller slots in by the handbrake. When will you have stock again? Will you ship to South Africa? 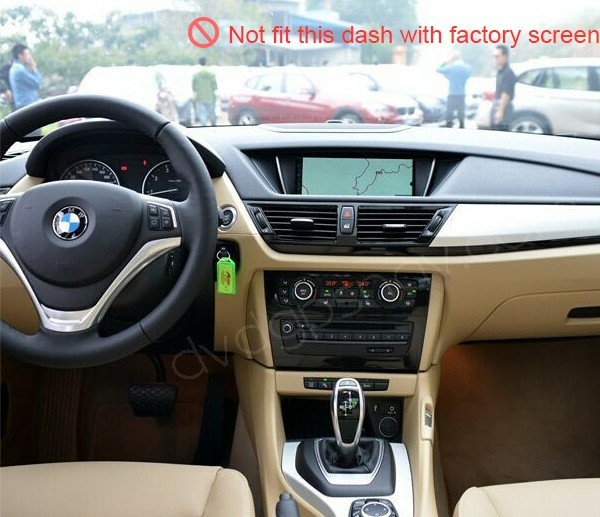 I have 2015 bmw which does not have idrve system, the interior just look like exactly the pic above, does it work? 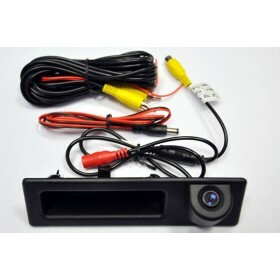 Do the system fit in my car when the original radio do not have bluetooth and no fiber output?? 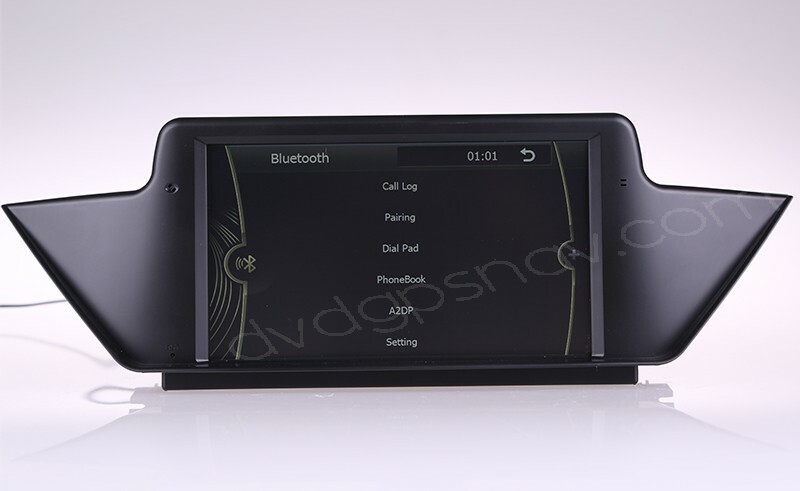 Q: I also was wondering if your BMW X1 E84 GPS Navigation - BMW E84 X1 Bluetooth Radio RDS iPod Head unit will fit with my x1 28i 20014? 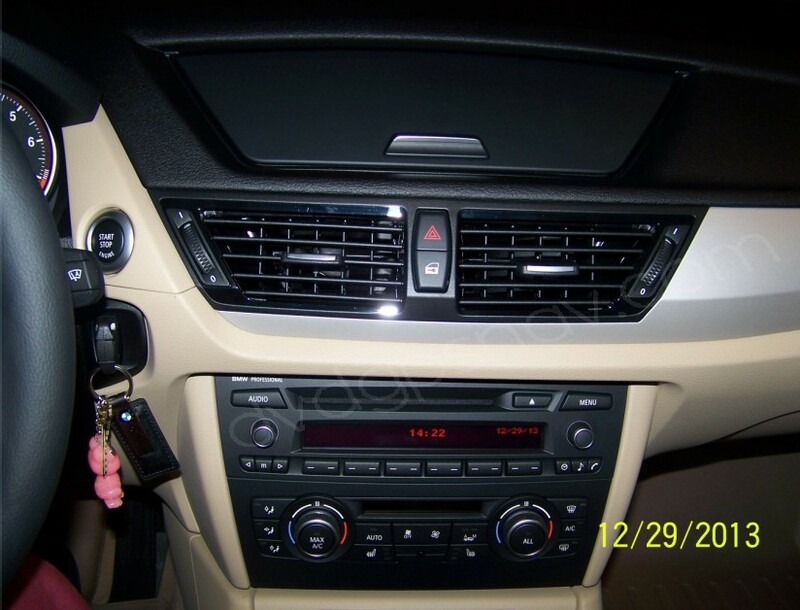 A: Yes, this head unit fits your 2014 BMW X1 too. 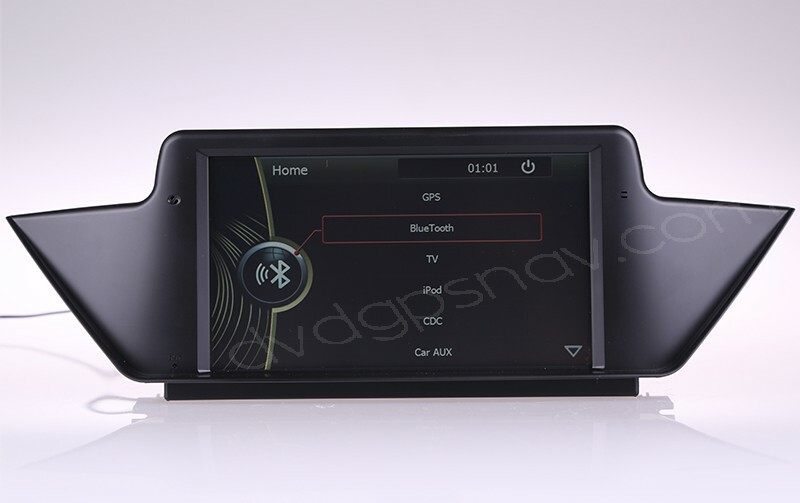 Q: I am interested in your BMW X1 E84 GPS Navigation, it seems like very nice but I have several questions. Does it work for the 2014 X1 model? I live in the United States. Will it work for the US BMW models? Does it have backup camera function? A: Hi, in order to check if this unit fit your car, please send a dashboard picture for us to check further, thanks. Yes, it can connect a back up camera.